PLAYA DEL CARMEN, Q. Roo. — Municipal Police in Playa del Carmen have begun a series of lectures for hotel workers to prevent tourists from becoming victims of extortion and kidnapping. “We don’t have this year a case here in Solidaridad where they have extorted a tourist, or that they have taken someone from his room to be victim of a virtual kidnapping, but we’re getting ahead to address possible cases. The lecture is for receptionists and security guards mainly to prevent extortion calls from reaching the guest,” said Martin Estrada Sanchez, director of the local police. This campaign is made at the request of hotel industry, said the police chief, adding that the Citizen Participation Corporation also provides these workshops to other business organizations besides hotels or civil society if they so request. The aim of the workshop is to be able to identify when a phone call involves the commission of a crime in any form. 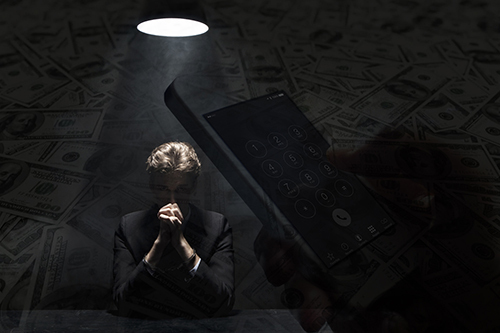 “You can detect when there is a call from a virtual kidnapping when they tell you not to hang up your phone and keep on, telling you to leave where you are and you go to stay elsewhere and that you register with a different name than your own. “They ask for family information so they can call your family and let them think that you’re kidnapped. When you receive a call like this, you should hang up immediately because they can put on a recording of a girl or a woman who is presented as kidnapped family, but the recommendation is to hang up, because they take advantage of the nerves at that time, “advised Estrada Sanchez. Although local police do not have the means to investigate by tracking the phone numbers of where there have been reports of alleged extortion to citizenship, they can turn to Federal Police which may have these means.